Methadone is an opioid substance that was developed to be a less addictive painkiller than morphine. It eventually came to be used to aid in the treatment of opioid addiction. Methadone creates a much less powerful highand lasts for much longer periods of time than other opioids like morphine and heroin. This makes it significantly less addictive and therefore much easier to abstain from using. People addicted to drug like heroin can be switched to methadone and then weaned from this substance, easing withdrawal symptoms and reducing the risk of relapse. According to the National Institute on Drug Abuse, every $1 spent on methadone treatment creates $38 in economic savings. How Severe Is Methadone Withdrawal? Methadone, however, is still an opioid, and therefore, it still has the potential for abuse and addiction. Methadone abuse can be very dangerous as it’s much easier to overdose on this substance than other opioids, and it’s more likely to have potentially life-threatening interactions with other drugs, including legal prescription medications. For these reasons, treatment with methadone is highly regulated and controlled. Recently, medical professionals have increasingly used methadone as a standard treatment for pain in place of morphine or OxyContin. Its newfound popularity is largely due to its lower cost and lower potential for tolerance and addiction. It can also be given less often than other painkillers since it can last in the body for 24 hours rather than just a few hours. Methadone also works a little differently in the brain than other opioids, allowing for “opioid rotation” in which doctors switch chronic pain patients from one medication to another in order to avoid the necessity of prescribing higher and higher doses due to tolerance. This helps to avoid some of the more unpleasant side effects of this class of drugs. Anytime doctors prescribe an opioid for at-home use, there’s a possibility of abuse. Abuse of a substance is considered to be any use outside of doctors’ orders. Most people who take any medications as directed will not develop an addiction, but abuse of the drug increases that risk. Even though methadone is commonly used to treat addiction, it is no exception. In fact, abuse has increased significantly as doctors prescribe it more often to treat pain, peaking at 1.5 prescriptions per 100 persons in the US in 2008. Methadone is unique in that it does not produce the intense euphoria that many other opioids do. However, recreational users of this drug may not be aware of that, and they may consume more of the drug in an attempt to experience that feeling of pleasure. Even if there is no euphoria, methadone still produces a pleasant high when enough is taken. Ironically, people may abuse methadone because they think it’s not possible to become addicted to it, only to find themselves dependent on the drug. It can be easy to spot methadone abuse compared to abuse of other prescribed opioids because it is not supposed to create a significant high when taken in the small doses that are typically prescribed. Therefore, if someone is showing signs of intoxication after taking methadone, it’s likely that the person has taken more than directed. When coming down from a methadone high, the individual is likely to be irritable, experience anxiety and/or depression, and have muscle aches. Abusing a drug for a long enough period can lead to physical and psychological addiction. Psychological addiction typically refers to frequently craving the drug and feeling uneasy when it’s not available. Addicted individuals may begin to feel as though they can’t get through the day without it. When substance use begins to interfere with their lives, causing social, financial, or even legal consequences, but they refuse or seem unable to quit, that’s when you know addiction has developed. Physical addiction occurs when continual exposure to the drug causes changes in the body and brain that result in withdrawal symptoms when that substance is no longer available. Opioid withdrawal symptoms can be very unpleasant, but they are not life-threatening. Methadone withdrawal is often described as feeling like a bad case of the flu. Generally, the most intense symptoms of withdrawal last 5-7 days. With medical detox, these uncomfortable withdrawal symptoms can be managed. Overdose and drug interactions are serious concerns whenever taking methadone. This is why the treatment of opioid addiction with methadone is so tightly controlled. A doctor must administer each dose of methadone instead of letting the client take the medication home to self-administer doses. This helps to avoid the high risk of a dangerous interaction and substance abuse. Those who are not being treated for addiction but taking methadone for chronic pain treatment are generally allowed to take the drug home, but risks still exist. A 2012 report by the Centers for Disease Control and Prevention found that one in three prescription painkiller overdoses can be attributed to methadone in spite of the fact that the drug makes up only 2 percent of all painkiller prescriptions. It’s much easier to overdose on methadone due to the fact that it takes so long to leave the body. People who are unfamiliar with this fact, especially recreational users who have not talked to a doctor about the medication, are at risk of building up too much of the substance in the body. In the case of overdose, the individual needs to get help as soon as possible, as severe depression of the respiratory system can cause brain damage due to lack of oxygen. The faster help arrives, the better off the person will be. Like any opioid, methadone can cause long-term health effects when used over a long enough period of time. Liver damage is likely after many years of use due to the fact that the organ must work overtime to deal with such a strong foreign substance. Chronic constipation caused by slowing of the gastrointestinal system can eventually lead to intestinal damage and colon issues. Users can become more vulnerable to respiratory infections due to the slowing of the respiratory system as well. The effects on the brain, however, may be the most concerning among the many ill health effects. According to the Norwegian Institute of Public Health, there was a 70 percent reduction in a brain signal associated with learning and memory after patients had been abstinent from methadone for a single day in one of the organization’s studies. However, research on the drug’s effects on the brain tends to produce differing results. Seeing as methadone is used for opioid addiction treatment, treatment can be more complex, particularly if the person was on methadone due to an addiction to prescription painkillers or heroin. 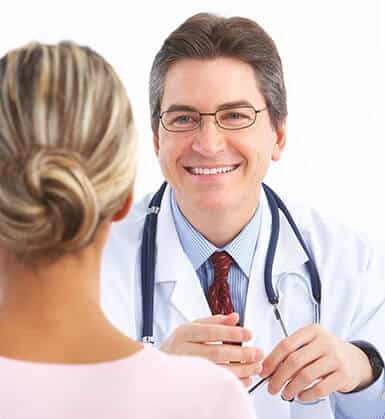 Generally, inpatient treatment is recommended for those suffering from methadone addiction. The 24-hour supervision provided could best ensure that the individual does not relapse during treatment. Any addiction treatment center should work with clients to determine what may have led to the abuse of the substance and what can be done to make sure it doesn’t happen again. Chronic pain patients may need help exploring non-narcotic options for pain relief, including alternative treatments like massage. Therapy can help to determine if any co-occurring mental health issues exist that may have led to drug abuse or could make abstinence more difficult.